Home › Sea Tug › ASD Tug › ASD Tug 2411 › ASD Tug 2411 "SST Aruá"
Wilson Sons shipyard, part of the WilsonSons Group, has delivered yet another tugboat. 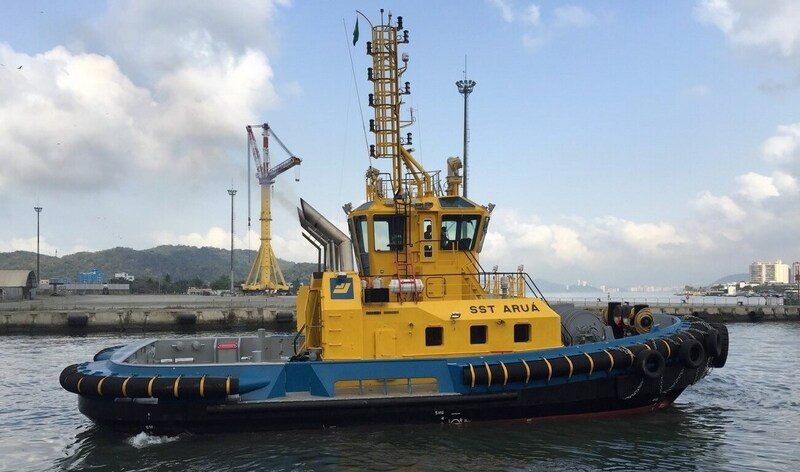 The SST Aruá is the second tugboat delivered to Saam Smit Towage Brazil and is part of a total order of 4 vessels. The SST Aruá was built in Guarujá (SP). The tugboat has 24 meters in length, 11 meters in beam and a bollard pull of 71 tonnes. The project has been designed by Damen Shipyards.